Balmain’s Exchange Hotel is the latest asset to test the strength of Sydney’s hotel market, with the heritage-listed venue set to be sold under the hammer next month. 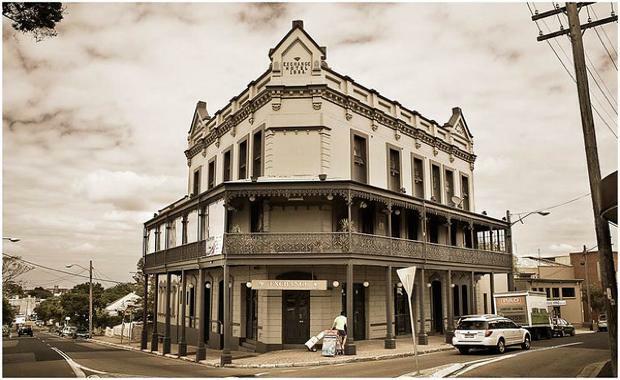 Built in 1885, the three storey Exchange Hotel is one of Balmain’s most well known landmarks, featuring two bars, balconied seating, functions room and a full a la carte restaurant. Located at 94 Bettie Street, the Exchange Hotel is positioned on a prominent 680 sqm corner site and benefits from a central position in Balmain’s dining and pub precinct. The freehold will be sold via auction on August 20. CBRE Hotels Director Daniel Dragicevich, who is selling the asset in conjunction with CBRE Capital Markets Director Nicholas Heaton, said the asset was expected to generate strong investor interest. “The Exchange Hotel is a Balmain institution held in high regard by those in the industry. With a larger footprint than most of its competitors, there is the definite potential to build on the already impressive cash flows of the business,” Mr Dragicevich said. Mr Heaton said the asset’s development potential would be a major drawcard attracting buyers. “This Balmain institution will no doubt be hotly contested, with the asset’s underlying property value, future development potential and existing successful business operations making it one of the market’s premier offerings of 2015,” Mr Heaton explained. “The property will appeal to high net worth private investors, developers and publicans wanting to buy a freestanding heritage building in the highly sought after city fringe location, Balmain."